Each week we'll post a new "fill in the blank" trickline problem. You have one week to submit a video of your combo that fills in the blank! You'll earn points based on how difficult your combo is. Prize money will be split up based on points scored. To see how many points you'll earn for a particular combo, type the combo into our combo calculator. The standard ATA deductions will be strictly applied to all video submissions. 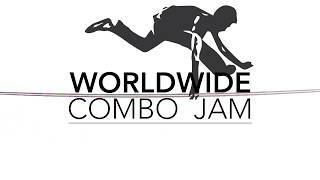 All dabbed combos and incomplete combos (combos that are not stuck to feet) will receive deductions. If you do not stick your combo by riding the line through a down-bounce, an up-bounce, and another down-bounce, the combo will be scored as incomplete and you will receive a 50% deduction on your entire combo. The incomplete combo deduction applies if you jump off the line or if you drop into a buttbounce. Light Dab - We will count the total number of video frames in which your body is touching the line during the down bounce of a contact trick and then find the first frame in which your body touches the competition surface. If this occurs in the first half of the video frames the trick will receive a light dab deduction. If not there will be no deduction. Heavy Dab - If you make contact with the competition surface during the down-bounce of a contact trick and perform a clear "pumping motion" with any of the joints that connect to a dabbing limb you will receive a heavy dab deduction. All grabs performed during rotations will be scored for the duration they are held in 90 degree increments. When a grab is performed during a rotation we will break the rotation down into 90 degree parts and score the subparts individually. Video submissions must be of raw footage without cuts or edits. Your entire body must be visible at all times including your feet, hands, and head. Immediately after you land your combo, run up to the camera and say "American Trickline 2017" so we know you landed the combo this week! You MUST score and submit your video using the ATA scoring software. Links to web videos or raw video files will not be accepted. 1 submission per athlete per round. You must submit a video which meets the trick criteria or you will not receive points for the round. $10,000.00 will be split between the men's and women's division according to the distribution of video submissions made by men & women throughout the competition. The 2 pools will then be divided among competitors proportional to the total points scored by each competitor. For example, if 300 videos are submitted by men and 200 videos are submitted by women $6,000 would be allocated to the men's pool and $4,000 would be allocated to the women's pool. Within these pools, the purse is then split according to total points scored over the course of the competition. Exception - If a woman would net a larger prize competing in the men's pool she will automatically be moved to the men's division. All prizes will be paid within 1 month after the competition ends. Prize money will be distributed via PayPal. If you do not have a PayPal account you will not receive your prize. What tricks can go in a blank? How do I submit my video? I didn't submit a video last round. Can I submit a video this round? I submitted a video earlier this week but now I have a better one. Can I submit the new one? Can I leave the blank empty? What if I land a trick that's not in the scoring system? I don't have a PayPal account. Can I still get prize money? When will prize money be paid out? I have other questions about the competition. How do I contact you? 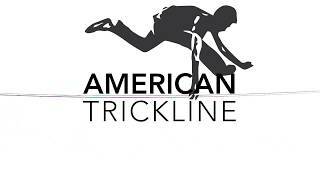 In the American Trickline Association scoring system, every trick is classified as either a contact trick or an air trick. Any single trick of the specified type can go in a blank. For more information on contact tricks and air tricks see our first scoring tutorial. All videos must be submitted using the ATA scoring software. Check out our windows tutorial or our mac tutorial for step-by-step instructions. Yes! You can compete in any round even if you missed earlier rounds. No. You can only submit one video per round. No. You must fill in every blank. The ATA scoring system can handle all rotations. If you land a new rotation and aren't sure how to type it in watch our tutorial on rotations. If you still can't figure it out send us an email and we'll help you out! If you land a new grab or bounce, contact us and we'll add it to the system! Unfortunately, all prizes are paid through PayPal. You must have a PayPal account to claim your prize. Prizes will be paid out 1 month after the competition ends. Send any additional questions to [email protected].